It seems as though many Canadians are familiar with urban axe throwing. The concept of recreational and competitive axe throwing is fairly new to our friends in the US: we’re eager to change that! Bad Axe Throwing calls itself the world’s biggest ax throwing club and its mission is to bring the thrill of a traditional Canadian backyard pastime to urban communities. 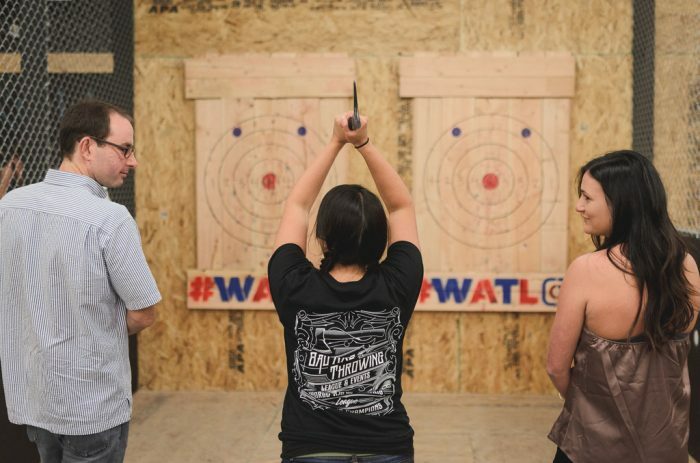 It says ax throwing is “bowling 2.0.” – Jeff Clabaugh of WTOP. 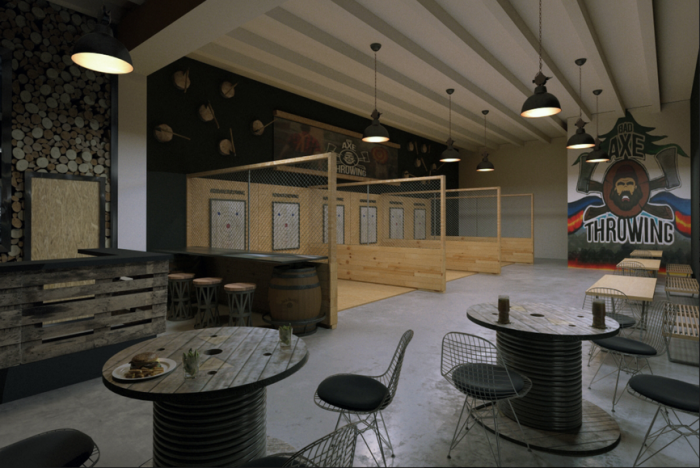 We’re thrilled to be able to bring an axe throwing club aka bowling 2.0 to Washington DC! This unique sport allows anybody and everybody to learn how to throw axes. This month, an 84-year-old named Phyllis took a turn at the brand’s Chicago outpost. From Nov 17 -19 we’ll have our professionally trained axe throwing coaches providing complimentary axe throwing lessons to the public of Washington DC. If people want to come and watch in the sidelines that’s cool, or if you’re eager to chuck the axe and get a rush from hearing the “thud” of the axe “stick” to the target, we’re cool with that too! “There’s something pretty satisfying about chucking things against the wall. We have a hunch that’s also the case for throwing axes against the wall—which, in the event of a zombie apocalypse, you could pretty much call a survival skill.” – Caroline Cunningham of Washingtonian. What can you expect for your first visit at Bad Axe Throwing? “It’s similar to the sport of darts, but with hatchets and it’s sort of set up in a similar sense of bowling where when you book a party or a group, you’re assigned a lane,” Melanie St. Amour, with Bad Axe Throwing told WTOP. Each group is assigned an axe throwing coach who is with the group the entire duration of the event! Coaches will teach you how to throw an axe, conduct fun games and host a competitive tournament to crown a champion. Below is a 3D render of what you can expect the location in Washington DC to look like! We’re still looking for people to join our Washington team.If you’re an upbeat, outgoing, thrill-seeking person, you might just be the right fit for us! Visit our Careers & Job Openings section to apply!